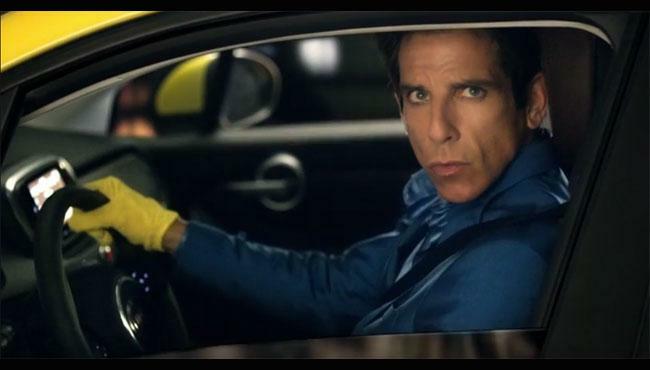 FCA used the Golden Globes to launch a new commercial starring Derek Zoolander featuring the Fiat 500X. Marking the second collaboration between FCA and Paramount Pictures, the new commercials promote the Zoolander 2 movie and the Fiat 500X. World renowned international supermodel Derek Zoolander (Ben Stiller) is the new face of the all-new Fiat 500X cross-over. The automaker launched the new marketing campaign with a 60-second ad that premiered during the Golden Globes telecast. You can watch this commercial below. The 30 second spot has not been released at the time of writing this story. A 30-second commercial will launch across television on Monday, January 11. Both spots can be seen online across the FIAT brand’s social and digital channels. Zoolander 2 will be in theaters on February 12, 2016. “Joining forces with Paramount Pictures and 'Zoolander No. 2' allows us to align the Fiat 500X with a pop culture moment through one of this year’s most anticipated films,” said Olivier François, Chief Marketing Officer and Head of FIAT Brand, FCA – Global. “Having international fashion icon Derek Zoolander, who is known for his distinctive style and playful spirit, behind the wheel of the Fiat 500X provides exceptional relevance to the global message of the FIAT brand." Directed by Jeff Mann, the campaign’s co-branded television commercial with background music from Frankie Goes to Hollywood’s “Relax (Don’t Do It)" is located on a city street corner where Derek Zoolander sets off a traffic camera. The all-new crossover features two engine options, an available nine-speed transmission and an all-wheel-drive system with a disconnecting rear axle for improved fuel efficiency. Loaded with up to 70 available advanced safety and security features, the Fiat 500X is available in five trim models and 12 exterior colors to offer the personalization options for which FIAT vehicles are known. Collaborations between Hollywood and other brands for commercials is a growing trend. The Wix Super Bowl 50 Ad will be a collaboration with DreamWorks promoting the upcoming Kung Fu Panda 3 movie. Fiat Chrysler Automotive has not revealed any Super Bowl 50 advertising plans. Seven car brands have already confirmed Super Bowl 50 ads.